Sweden-based HMS Networks, a leading independent supplier of products for industrial communication, has opened a new sales and support office in Dubai, UAE. With the new office, HMS Networks aims to increase its capacity to supply, maintain and service products to the local market across the Middle East. HMS has been conducting business in the region through distributors and sales support from Sweden and Spain for several years with the main product focus on Anybus, IXXAT, Ewon, and Intesis, said a company statement. 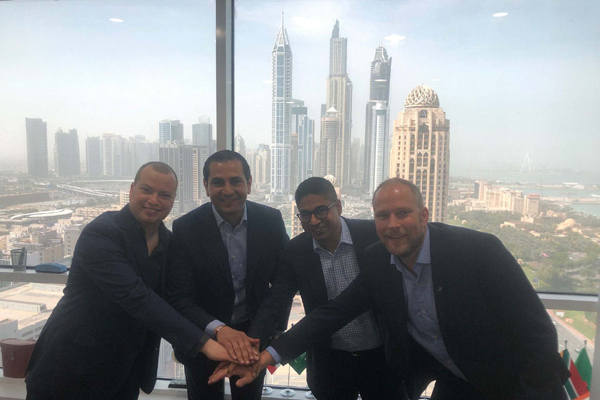 The new office will serve as a hub for the organisation to expand its presence and facilitate local sales and support across the Middle East, it said. “Several countries are still relatively untapped for HMS but the growth potential is significant and promising. The opening of this new office is our commitment to the region to enable the offering of more services and products,” he said. “Having a local presence in the Middle East is imperative to our growth and ambitions, both operationally and from a commercial point of view. It will enable us to get close to our end-users, showcase our products, enabling us to ensure that the latest technology from our company is used when new infrastructure projects are being rolled out in the region,” he added.